Tracey Muir is an Associate Professor in Mathematics Education at University of Tasmania. She is passionate about engaging students in positive mathematical experiences and loves to use picture books and stories to do this. Tracey is also a passionate educator and has received university and national awards for her teaching. 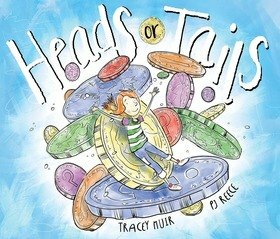 She hopes that Heads or Tails will provide all readers, especially teachers and students, with the opportunity to engage in rich mathematical conversations about key probability ideas.